The French start-up company Drawn recently launched its robotic-arm 3D printer, Galatea. At its popular debut at Maker Faire Paris in June, Galatea demonstrated its ability to print entire furniture pieces, changing the nozzle diameter from 1.75 mm up to 8 mm. Drawn used Rhino to create the models and Grasshopper to make the models parametric. 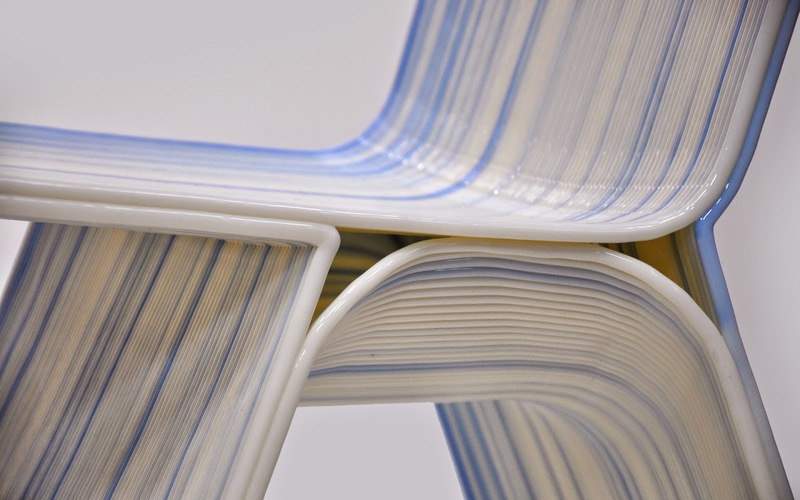 Drawn will be selling their own 3D printed furniture and other items. They also plan to hold workshops on how to design and print furniture. See Drawn's products . . .